Find LED Candle , Birthday Candles, Candle Holder on Industry Directory, Reliable Manufacturer/Supplier/Factory from China. 1, in the use of home or office environment, this product can be very good to protect your desktop and mesa, to your furniture and personal bring warm protection. 5, with anti-static, in the telecommunications, electronics, computer companies, the use of precision instruments on the desktop is an essential product. Now many of the computers used by the company have been replaced by a glass desktop, with a soft glass replacement. The main table mat is made of antistatic material and dissipative static material, such as rubber. The surface layer is about 0.5mm thick dissipative electrostatic layer, the bottom layer is about 1.5mm thick conductive layer. Commonly used for 2mm double layer composite structure. Table mat use time lasting, has good acidproof, anti alkali, anti chemical flux properties, and wear resistance, easy cleaning. Conductive mat is made of high quality conductive materials, synthetic rubber. The material and the characteristics of the crystal table mat. Come and learn about: first we know oh, soft glass, also known as the crystal plate: is a new generation of high-tech products, it replaces the traditional glass heavy fragile, wounding disadvantage outside it has a lot of advantages. It is suitable for the dining table, desk, desk, bedside table and all the table. The high degree of transparency, and can heat the soup, tea, cold resistance, weight, non-toxic and tasteless, green environmental protection. After scientific design, the use of imported PVC new health and environmental protection materials. The characteristics of high resilience and high resistance to compression and compression can be suitable for a variety of environments. It has the characteristics of non toxic, soft and transparent, safe insulation, easy cleaning and so on. The overall heat deformation, high temperature resistance, chemical stability, non stick paint, aging is not easy. Crystal board can be quite furniture long service life; effectively prevent burns, cuts, scratches and other external damage, make your furniture gets more effective protection. A glass plate is pressed on a lot of desk, which is convenient for writing. Now, a new type of material is soft glass instead of glass become the people's favorite. At work, it is widely used in electronics, chemistry, pharmacy, food factory, garment factory, working platform, the surface of a variety of office machines, etc.. Family life, it is widely appeared in the glass surface, can not only reflect the true nature of the glass, fashion, and can prevent the glass furniture surface scratch. In daily life, table mats to the people's life brings convenience, for example, can be used in the table, table, desk pad can not only protect desktop is not hot imprint, is not hot off color and hands up will give a person a kind of comfortable feeling, in addition to the dinner table can also be used for desk, coffee table, a few party, desk, ark of the head of a bed, as long as the table, can use table mat. 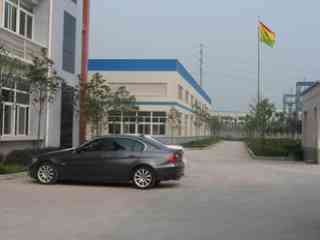 Hebei Gemmy Import and Export Co., Ltd. is an experienced industrial and trading company. We innovated ourselves to participate in the international business competition. The main products in our company are various series of candle, such as Stick Candle, Tealight Candle, Church Candle and different Craft Candle. Every year, some new series of candles will be proposed and our annual output is about USD3,000,000. Our products are exported to many countries in America, Europe, Africa, and Southeast Asia because of our good quality and reliable service. 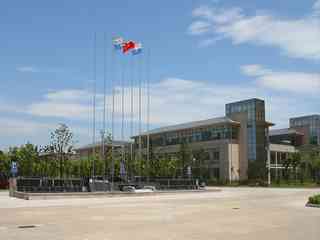 Moreover, long-term cooperation has been built with dozens of customers, and we are treated as their appointed supplier. 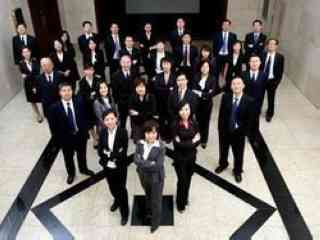 Quality is our basement, and credit keeps us growing" is always our pursuing. Copyright © 2019 www.nscandle.com All rights reserved.